Bedi spoke about the current form of the Indian team and praised Ashwin. 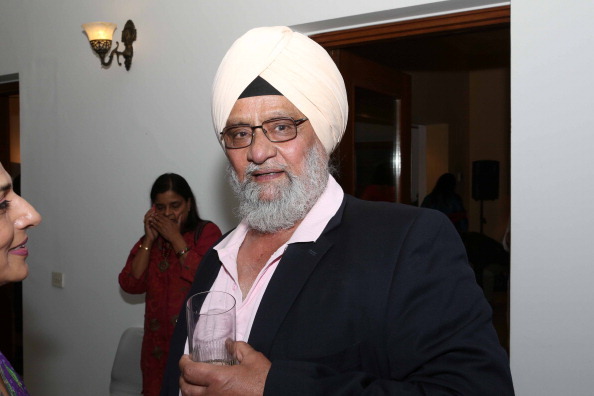 Bishan Singh Bedi, the former Indian cricketer, is expecting chinaman bowler Kuldeep Yadav to bowl 35-40 overs a day. The young bowler is basking in the glory of ODI hat-trick he scalped in the second match against Australia in Kolkata. Bedi also believes that the Virat Kohli led side is yet to be challenged in overseas conditions. There have also been talks of Kuldeep being a regular feature in the Test side. The Men in Blue are currently in the middle of a dream run especially in One Day Internationals. They recently whitewashed Sri Lanka in their own den across all the formats. The side is also leading the ongoing series against the team from down under 2-0 and is looking good to seal the series with the third game. However, Bedi feels the team needs to keep its focus and perform well in demanding conditions. According to cricketnext, Bishan said that the Indian team will have to play well abroad. “This team hasn’t been challenged yet, the team knows that the real test will come when they tour abroad next year and they are preparing for it,” he said. He also mentioned that Kuldeep has a long way to go and he will have bad days in the future. “I would like to see him bowl 35-40 overs in a day. He is bubbling with energy and looks confident but he will have to face the bad days when things will go against him, at that time you guys (media) will also go after him,” he explained and also praised R Ashwin who is being rested right now by the selectors. “The selectors haven’t totally ruled him out. There are still many spots up for grabs in team, I won’t say which as that is something you will have to ask the selectors,” he added. Bedi has been a strong critic of Indian Premier League (IPL) and explained the reason of the same. ”You’re giving me three players, I can give you a list of 35 who have failed to perform at the international level,“ he concluded.